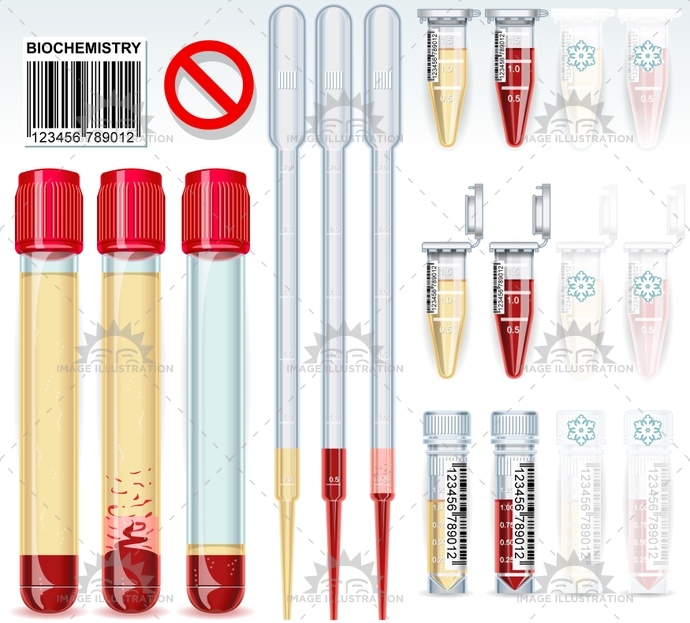 Stock product - detailed vector illustration - 2D Lab Collection - Biochemistry Test Tubes - created by Aurielaki. Image formats EPS AI JPG. SKU: Biochemistry-Test-Tubes-Lab-2D-AurielAki. Category: Lab Tubes. Tags: analysis, bio, biochemistry, biology, blood, cap, centrifuged, checkup, chemical, chemistry, collection, container, diagnosis, eppendorf, equipment, illness, illustration, label, laboratory, medicine, pipette, plasma, red, research, sample, serum, test, tube, vacutainer, vector.